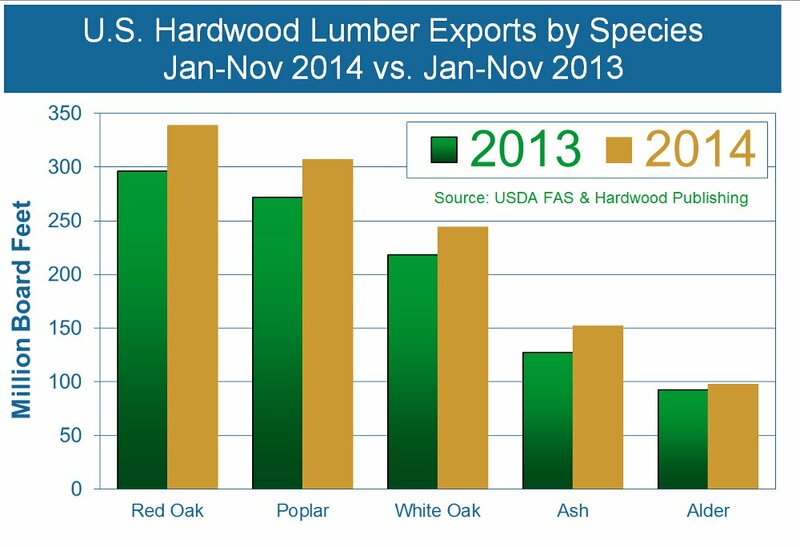 U.S. hardwood export markets turned in mixed performances in January. Chinese demand was good through mid-month but slowed in late-January due to the upcoming Chinese New Year - which starts on February 19. Mexican and Middle Eastern markets were fairly busy. European purchasing was weak. Rapid U.S. dollar appreciation against other currencies hurt U.S. hardwood demand, particularly in Europe. In January alone, the dollar climbed 7% against the euro, 3% against the British pound, and 7% against the Canadian dollar. Looking back at November 2014—the latest month with available trade data—U.S. 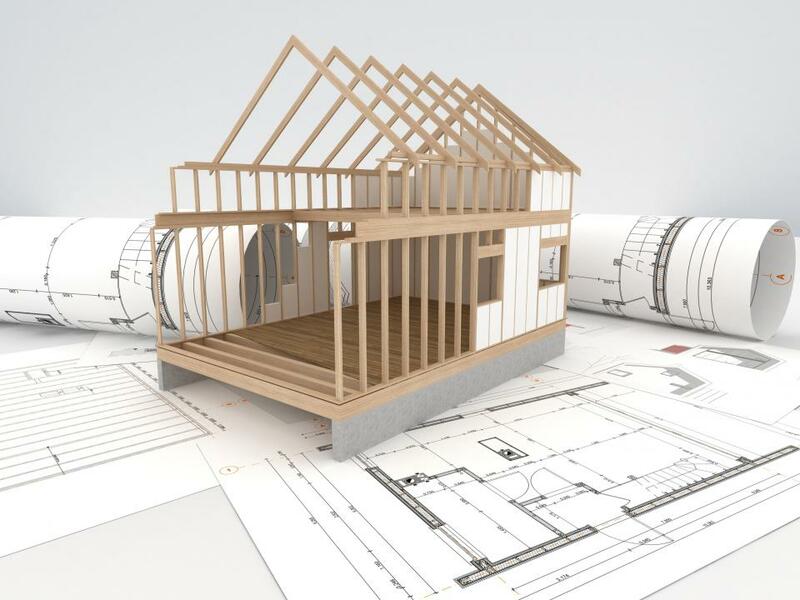 hardwood lumber exports were 5% lower than in November 2013, ending a run of 19 straight months in which exports exceeded the same month a year earlier. At 138 million board feet, November exports were also down 10% from October’s one-month record. Notably, shipments to China set a new record in November, but shipments were down sharply to Canada (-19%), Vietnam (-20%) and Mexico (-28%) compared to the prior month. 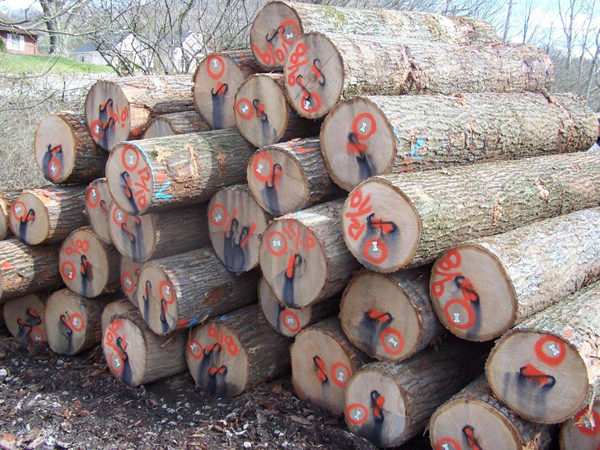 November exports of Hickory, Cherry and Hard Maple slid 39%, 19% and 17%, respectively. Walnut was the only species that shipped in larger volumes in November than in October. hardwood publishing co. hardwood publishing co.